This is not only our favourite tour, but our most popular. There is something for everyone in this tour – architectural, historical and geological treasures, and of course, the unrelenting desert. The panoramic views of the High Atlas Mountains are breathtaking. Travellers delight in walking through Aït Ben Haddou and the Kasbahs on the road of 1000 Kasbahs. You will enter another world that can only be experienced on foot. You will admire the rock formations at Dades Gorge and Todra Gorge, as well as the rich fossil treasures at Erfoud. The miles of blooming roses in the Valley of the Roses will not only enchant but inspire you. 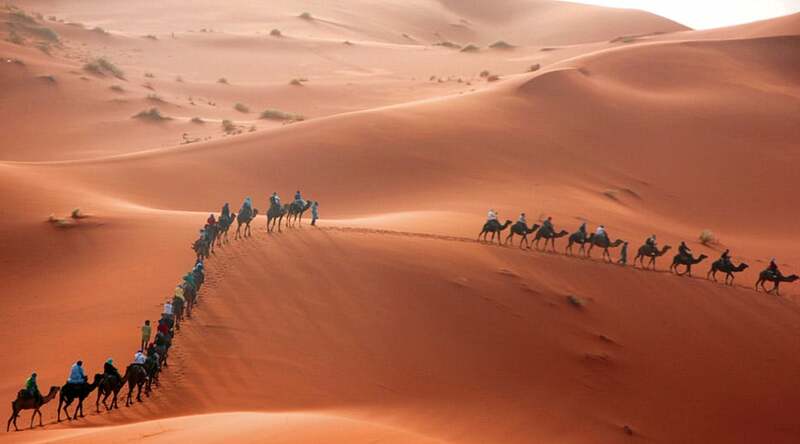 Once you enter Merzouga and camel trek into the desert, you will enter the land of a harsh mistress, who is able to captivate you with her rolling, golden sand dunes. Drive through the High Atlas Mountains and pass by Berber villages along the way, with the opportunity to stop for breakfast at a coffee shop with beautiful panoramic views of the mountains. Lunch at a traditional restaurant in Aït Ben Haddou (Berber: ⴰⵢⵜ ⵃⴰⴷⴷⵓ), a fortified village and a famous UNESCO world heritage site which is locally believed to have been established in 757 AD, however, the adobe buildings date back to the 17th You are free to marvel at the stunning architecture and explore the city by yourself or with a local guide. 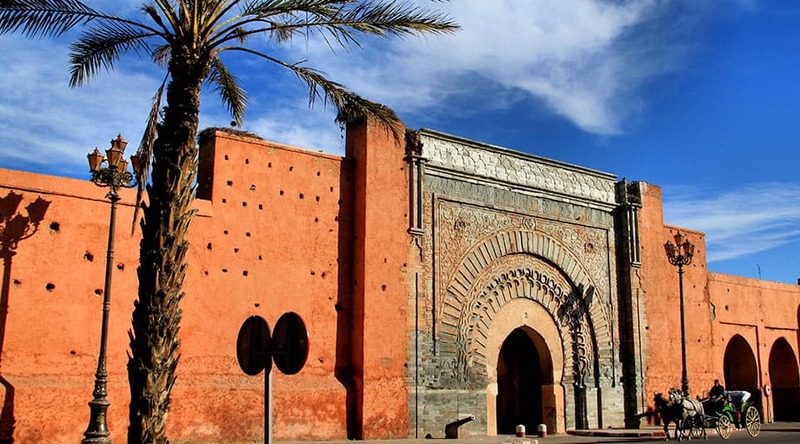 Many films have used this backdrop for historical scenes and it is considered to be the film capital of Morocco. Some examples of films made in Aït Ben Haddou are: Gladiator, Lawrence of Arabia and Jesus of Nazareth. 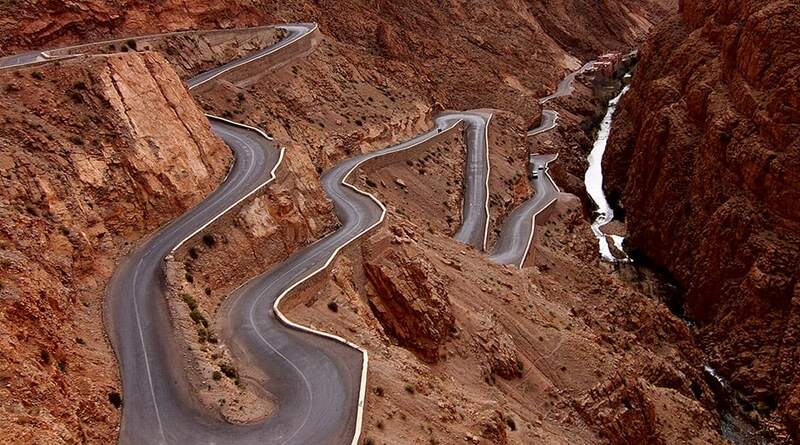 Drive to Ouarzazate with the opportunity to visit film studios. Drive to Dades Valley, where you will appreciate the rock formations at Dades Gorge, Kasbahs and the scenery along the Dades river. Drop off to a hotel with a stunning view of the Monkey’s Feet rock formation. Visit Todra Gorge to view the orange limestone and the 300m deep fault that splits the rock. At certain places you can view the ravine with it’s river flowing through the split. You will view green palm groves, rock climbers and trekking enthusiasts that are motivated to squeeze through the narrow openings, and you will have lunch here. Embrace traditional Moroccan music and food, including the famous Moroccan mint tea, also known as Moroccan whiskey, and sleep in your own private tent. You will be invited to sit around a campfire and listen to traditional drumming and dancing and meet travellers from all around the world. You will feel free to savour the moment and walk on the golden sand underneath the starry night. This is a chance for you to briefly experience the life of a desert nomad and converse with Berber people. Drive through the High Atlas Mountains and back to Marrakesh. We say farewell and drop you off at your accommodation.